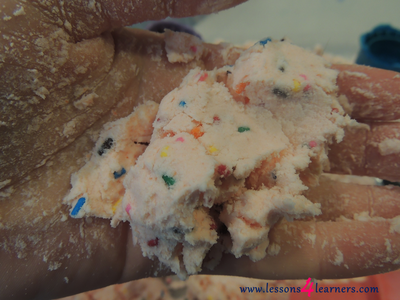 Record any conversations the child has during play about the dough. How are their fine motor skills developing? Did they scoop the dough into the cones with their hands or did they use a spoon? What was their reaction to the texture of the dough? Children of all ages can have fun playing with Play-dough! It’s pliable, roll-able, sculpt-able, and mold-able. You can put things in it, under it, and on it. You can mix it with other colors and other materials to make it shiny or add texture. When you are done with all that, you can dry it and paint it for a more permanent sculpture. 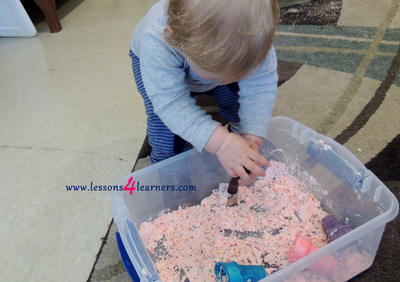 Infants and young toddlers learn through their senses. They need to see it, taste it, feel it, hear it, smell it and sometimes move with it. Their learning is focused on experimentation. When using play-dough with this age group constant supervision is important. 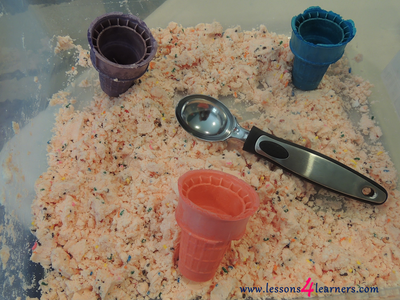 Use materials that will not be harmful if a child tries to explore the play-dough by tasting it. 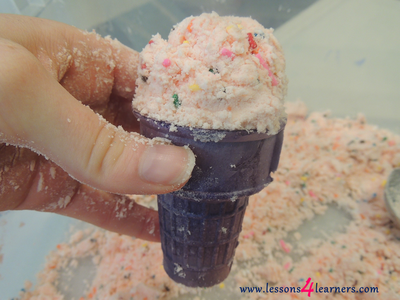 While exploring play-dough with infants and toddlers they will interact with you directly. They will be looking for support, encouragement and direction. Talk with them about what they are doing, and how they are doing it. This builds language, attachment and teaching children the safe way to use the material to be successful. Connecting new words to the actions the child is doing strengthens comprehension and scaffolds knowledge. 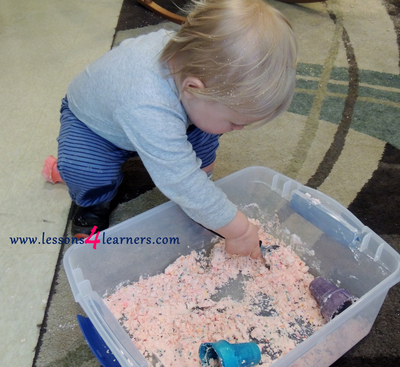 Infants and young toddlers will be particularly interested in the sensory experience. Encouraging them to roll a snake for instance will make no sense to them. Talk to them about what they are doing, seeing, smelling, tasting and hearing. 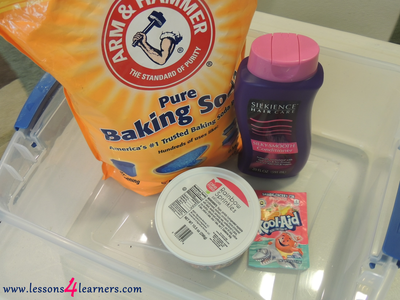 Infants and young toddlers will squish or pinch a piece of play-dough and give you a big smile about their new discovery. They will figure out how to get that sticky piece of play-dough off their fingers. It’s all science.